The hub is ideal for virtually all USB-C equipped laptops, such as the Dell™ Latitude 11 5000 2-in-1, and the Dell XPS 12. 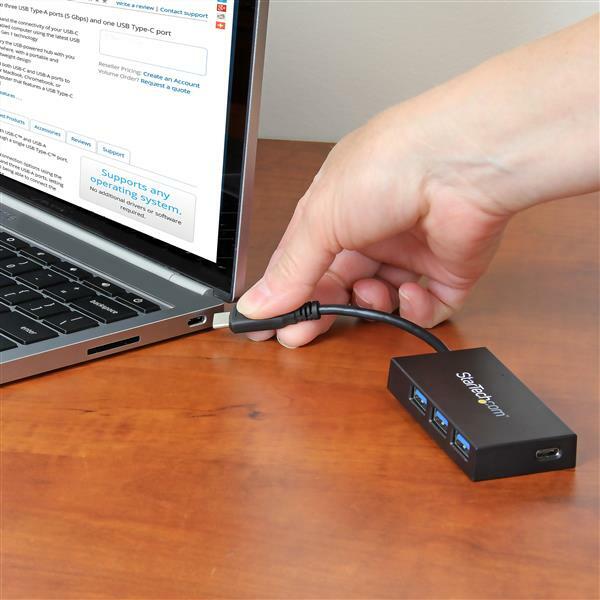 This USB 3.1 Gen 1 hub lets you expand your USB connection options using the USB-C port on your computer. It offers one USB-C and three USB-A ports, letting you connect traditional USB devices now, while still being able to connect the growing number of USB Type-C devices in the future. 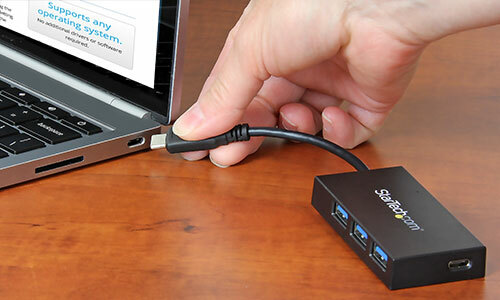 With a compact and lightweight design, the USB-powered hub is tailored for mobility. It easily tucks into your carrying case and expands your connectivity when traveling. 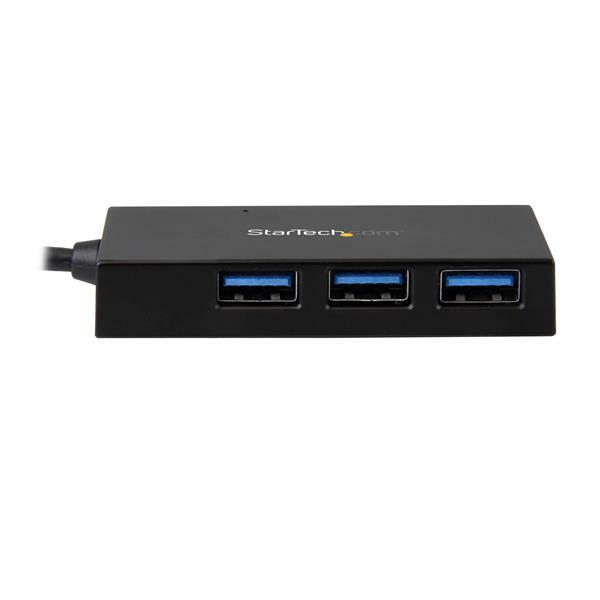 Plus, this versatile USB hub takes up minimal space on a desk, so you can use it in hot-desk or BYOD (Bring Your Own Device) environments. The HB30C3A1CFB is backed by a 2-year StarTech.com warranty and free lifetime technical support. 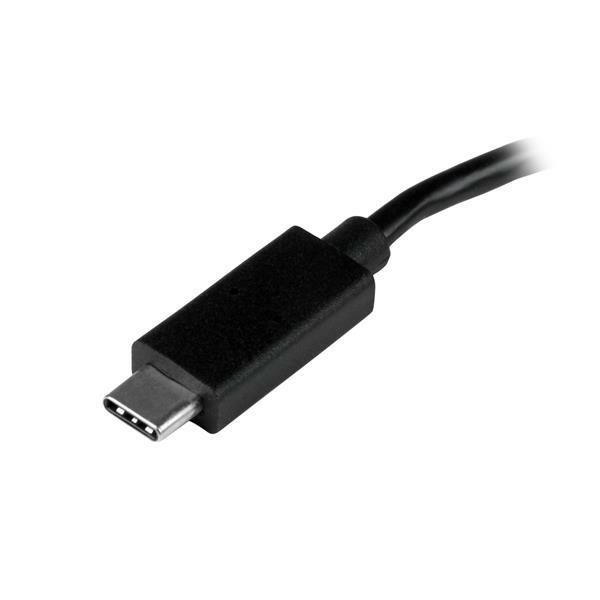 Note All ports support USB based video adapters including the USB-C port. 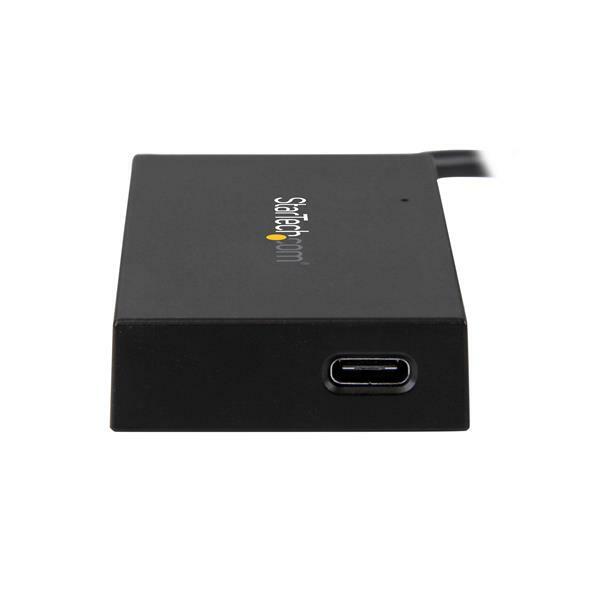 This hub does not support DP Alt Mode (DisplayPort™ Alt Mode) - non-USB based native video support over the USB Type-C port. 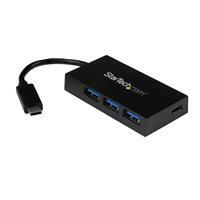 The hub does not support DP Alt Mode or USB Power Delivery.